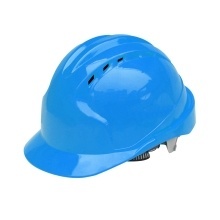 This safety helmet can keep you safer from high-risk workplace, great for construction, coal mining, shipbuilding, industrial chemicals and electrical, etc. *Good ventilation, individualized and generous design, comfortable to wear. *High-quality, great durability, anti-pressure, hard enough to provide a safety working condition. *Lightweight shell made of ABS plastic, insulation, strong impact resistance. *Solid and thicken liner, it can effectively cushion and reduce vibration. *Adjustable buckle makes you easy to adjust the size, fitting your head perfectly.